It is common opinion that the integration with electric systems will play a relevant role in the future of hydraulics. What are, however, the characteristics of electro-hydraulic systems, what the achievable advantages and what the possible limits of these solutions? Fig. 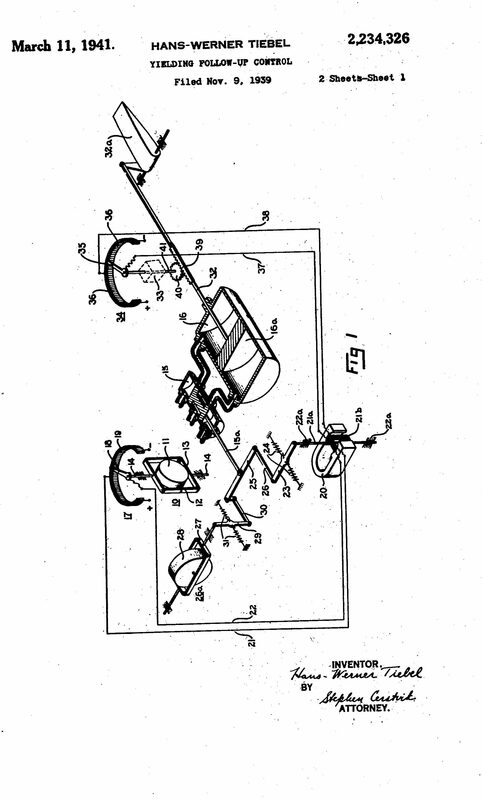 1 – Electro-hydraulic solution patented by Tiebel in 1939. The advantages of hydraulics are well-known. High power density, easy motion control, high reliability and sturdiness, possibility of implementing customized solutions, excellent resistance to vibrations and capability of absorbing impulsive loads and, finally, simple thermal exchange management. All these elements have made hydraulic systems able to stand out for the power actuation in highly different sectors: from aeronautics to earth handling, from heavy industrial applications (for instance, steel mills) to civil applications (ex. lifting bridges, dams and so on). In all these sectors, the hydraulics flexibility and the user-friendly power management have been trump cards for over half century. 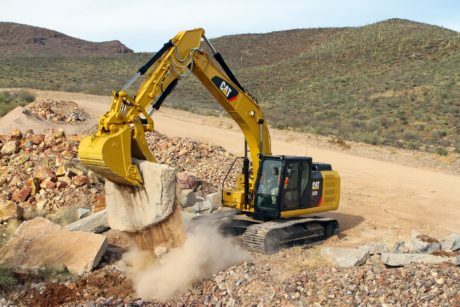 At the same time, however, it is not possible to deny that purely hydraulic systems suffer from a non-optimal, or even very bad, power management and are affected by limits that are becoming more and more evident. I am referring especially to the noise issue, aspect of which the market is more and more aware, but also to the theme of the possible interfacing of the drive system with evolved networks of communication and information management. Mainly, anyway, a hindrance is represented by the power management that is often of dissipative type. In other words, hydraulics is coming to terms with operators’ ever-growing sensitivity to themes of environmental/economic kind (energy efficiency, noise) and of practical character (possibility of controlling the system remotely). It is not a novelty that either electric or hybrid solutions are catching on almost everywhere. 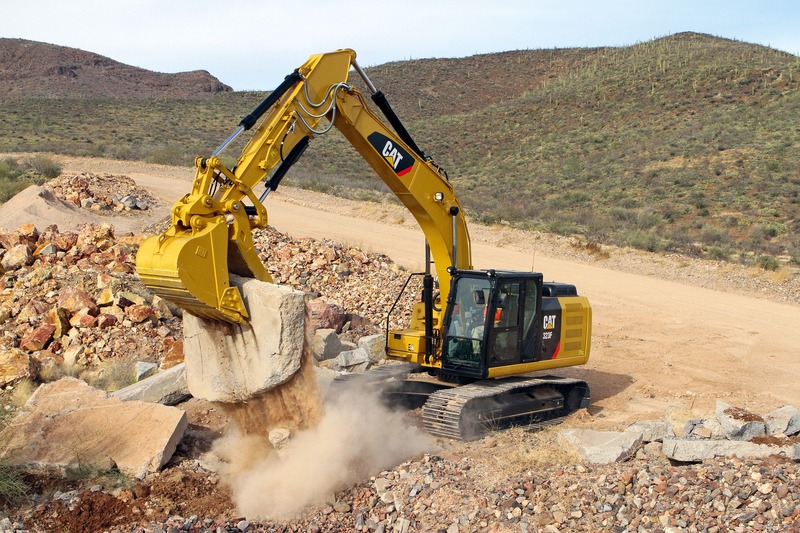 From automotive to the sector of earth handling machines. Perhaps this depends on objective questions, or also on marketing and “fashion” matters, but all main players are striving to propose integrated solutions, where it is possible to celebrate the marriage between hydraulic and electric. To meet the new functional requirements, the various manufacturers more and more often release on the market solutions where the advantages of pure hydraulics can be matched with the benefits of electric solutions. Certainly, absolute novelties are not at stake. From the historical point of view, electro-hydraulic solutions have existed since the beginning of last century, as witnessed by the U.S. Patent 2234326 registered by H.W. Tiebel, where the sum of electric and mechanical signals is used to generate a cylinder position loop, to be sent to the coil that controls the correction flow. Obviously, the first electro-hydraulic solutions almost completely focus on the valve management, especially in the immediate post-war period. The first two-stage valves with current feedback were developed in that period, especially for aeronautical applications, such as the jet pipe valve developed by R. Atchley (U.S. Patent 2884907) in 1957. From that time onwards, flourished several attempts of matching power management units (hydraulic) with electric/electronic type management systems, carving out a space for a mainly controlling task for the latter. In the aeronautical sector, the use of electro-hydraulic solutions has been the standard for several years. The reasons for this phenomenon are well understandable if we look at the scheme shown in figure 2, highlighting the capacities of the electric part in the information management and transmission while the power conversion and transmission is left to the hydraulic part. In the common imagery, the entire part enclosed by the green rectangle of figure 2 is entrusted to hydraulics, and actually this has happened for decades. Power was generated, managed, transmitted and converted again only through hydraulic components (pumps, valves and actuators). The electric/electronic interface was just useful to manage the information and to transmit it to the operator. This solution has granted for years both the adequate management of the information flow and the necessary user-friendliness, sturdiness and reliability. Fig. 2 – Information and power flows in an electro-hydraulic system. Moreover, the electro-hydraulic management allows attaining some secondary, but anyway not less important, functions. The concentration, i.e. the possibility of using a single power unit to power more actuators simultaneously, the splitting, i.e. the possibility of subdividing the various actuators into lines – which allows also insulating a line damaged or badly functioning; the irreversibility, that is to say granting that the given control is accomplished along the chain, but in a single direction, which can be very useful to manage possible failure states. The diffusion of computerized control systems has caused the notable diffusion of servo-hydraulic systems, where the servo-valve constitutes the connection element between the electronic and the hydraulic world. In the most recent past, these systems have been replaced, at least in aeronautical applications, by electro-hydrostatic systems, which can transmit the power by means of a loop that involves an electric motor, a pump and a hydraulic cylinder. This solution, for instance, represents the standard for the control of the wing surfaces of the Airbus A380. In the same airplane, they have also introduced some electro-hydrostatic systems with servo-hydraulic backup owing to safety reasons: the actuation is commonly electric but it is always possible to actuate the system in purely hydraulic modality in emergency case. Certainly, it is possible to object that electro-hydraulic solutions can be used in the aeronautical industry where the price factor is not determinant, whereas in “traditional” mobile applications this aspect is still of primary importance. It is true, but let us analyse whether it will be the same also in the future. Electro-hydraulic solutions (electric motor, hydraulic pump and hydraulic actuator) for the smart power management are overbearingly emerging also in the sector of mobile applications. The reasons on which this new technological revolution is based are essentially linked with the need of satisfying new more severe limits for noxious emissions, which are literally suffocating diesel motors. The responsibility, anyway, is not only of anti-pollution legislations. The demand for more efficient machines, the awareness that it is easier to recover energy, the growth and the diffusion of “green” conscience is strongly boosting the development and the diffusion of electro-hydraulic solutions. – the identification of a control strategy aimed at efficiency and safety. Fig. 3 – Trend of the efficiency of a generic hydraulic pump (pressure and with constant displacement) according to the rotation speed variation. Just one of these elements does not allow attaining the perfect system but the whole permits to get considerably close to it. According to what previously analysed, in fact, one of the main problems of hydraulics is connected with the fact the power management often occurs, through dissipative way, by means of valves, where even 40 % of the power generated by the pump is lost. Electro-hydraulic systems, which exploit an electric motor to modulate the pump rotation speed, do not suffer from these problems. 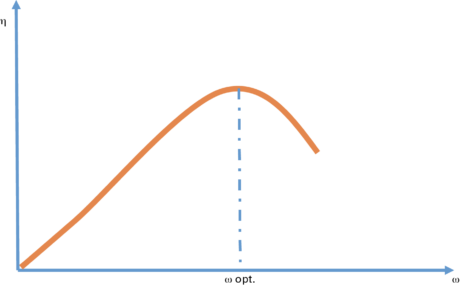 Another undeniable advantage is connected with the possibility of managing smartly both power peaks (by means of capacitors) and the passive phases of the working cycle (energy recovery). In literature, we can find praiseworthy examples but concrete application cases of these “philosophies” are still rare. They are generally numerical simulations, aimed at assessing the possible gains achievable with the introduction of dedicated control logics. The possible critical aspects that characterize in general all electro-hydraulic systems are not missing, in fact. We can mention at least two of them: the heat management and the efficiency of hydraulic units at low-speeds. The first aspect appears strongly if we consider that, since the power no longer travels by means of the fluid, neither the developed heat travels. What in purely hydraulic applications was certainly a drawback, which however allowed managing thermally the system easily (the so-called reactive power, that is to say a power that travels together with the fluid under the form of heat but cannot produce work), does not exist in electro-hydraulic systems. The electric current cannot transport heat through the system and therefore it does not permit a simple thermal management of the circuit. Heat remains where it is generated (in the electric motor that operates the pump, for instance) and this is especially true if the system is conceived to operate at low rotation speeds. Therefore, it is necessary to add a cooling system and to manage the entire system thermally. What is an advantage in abstract terms (electric energy instead of pressure energy) has changed into a potentially limiting aspect. And we can state the same about the possibility of making the pump work at low rates (figure 3). Once established the working pressure and the fluid viscosity, the pump efficiency notably changes according to the rotation speed variations. This has never been a problem until now because hydraulic units interfaced with power sources (thermal or electric motors) that almost always worked at constant speed. One of the main characterizing elements of electro-hydraulic systems, i.e. the possibility of varying the electric motor speed with continuity, can turn once more into a possible negative point. It clearly emerges that the approach can be only global: it is not sufficient to connect a motor controlled by inverter with a hydraulic pump. Fig. 4 – Electro-hydraulic solutions (electric motor, hydraulic pump and hydraulic actuator) for the smart power management are overbearingly emerging also in the sector of mobile applications, due to the need of satisfying new more severe limits for noxious emissions. It is not easy, then, to harmonize the potentialities of hydraulics with the user-friendly management of the electric drive. Also because electric motors, with unchanged power, weigh much more than the electric pump with which they are coupled. To solve this problem, they are experimenting  solutions with very high speeds (35,000 rpm) that, keeping the power unchanged, weigh less than traditional motors. There is still the problem of interfacing the latter with a pump that generally cannot operate at speeds exceeding 3,500 rpm. Others are focusing on solutions more resembling the ones adopted in the aeronautical sector  where the pump interfaces with a hydrostatic circuit instead of with a standard hydraulic circuit, maximizing the regenerative possibilities. In other words, the road towards the full application of electro-hydraulic solutions in the mobile sector is still long and studded with hindrances. In spite of that, we cannot forget that these solutions will permit to meet the rising technological trends, which require a smart system of energy management, the possibility of exploiting fully the solutions of the Industry 4.0 philosophy (data acquisition, information transfer in remote, strong customization of the application) and the possibility of implementing comfortably some Condition Monitoring logics. 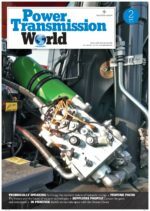 The travel started more than 20 years ago, and still appears long, however a rising number of companies are concentrating their resources on these issues, also because the future of hydraulics highly depends on the possibility of making this sector more and more intelligent and flexible. T. Pietrzyk, D. Roth, K. Schmitz, G. Jacobs (2018), Design study of a high speed power unit for electro hydraulic actuators (EHA) in mobile applications. 11th International Fluid Power Conference, Aachen University. T. Koitto, H. Kauranne, O. Calonius, T. Minav, M. Pietola (2018), Experimental Investigation of a Directly Driven Hydraulic Unit in an Industrial Application. 11th International Fluid Power Conference, Aachen University.